31 Days of Art: Artful Fun for the Family! Reason #21 for visiting Greater Raleigh during 31 Days of Art: You’re never too old for a field trip. Bring your family for an artful weekend in Greater Raleigh this October during "31 Days of Art." Start with the International Festival of Raleigh, Oct. 4-6, at the Raleigh Convention Center, a three-day celebration of music, food and culture from around the globe. And check out Raleigh’s First Friday, a free self-guided tour of downtown’s cultural hot spots. From local galleries and studios to alternative art venues and museums, each stays open late to welcome art-seeking enthusiasts. Participating restaurants and retailers may also offers specials. And while you’re here, be sure to catch the Cary Players production of Nunsense, singing, dancing, and comic misadventures that are sure to be “habit” forming. 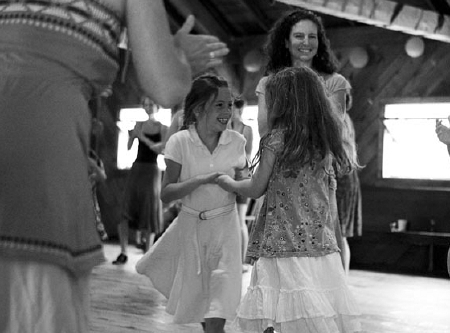 The following week includes a Family Dance for all ages when traditional dance caller Connie Carringer teaches Squares, Circles, Appalachian and more. At the Halle Cultural Arts Center, with live old-time string band music. And wrap up your weekend stay with Friday’s Art After Hours when the streets of Wake Forest come alive with food, merchants and music until 9pm.